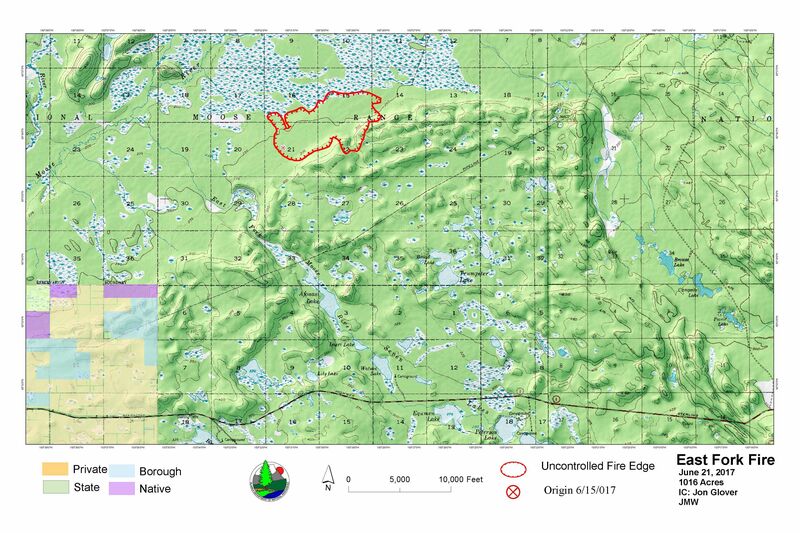 The lightning-caused East Fork Fire has been remapped to more accurately reflect the perimeter which is now 1016 acres. The fire behavior is currently described as smoldering with minimal burning. The fire remains approximately 4.5 miles north of the Sterling Highway and 3.5 miles east of the nearest residential area. The fire received one-third of an inch of rain yesterday. Warmer and drier weather conditions are expected for the rest of the week, which will help dry out the fuels in the fire area. Fire officials are waiting for the landscape to dry out before initiating the planned burnout operation. This will help to ensure the entire area will burn completely, leaving nothing left to reignite. The burnout operation is to clear out a dense mature stand of black spruce that is a potential threat to the community of Sterling. The operation would remove all fuels between the active fire and the fire breaks to the west and south. Firefighters continue working to cut and clear a fuel break from the fire’s southwest perimeter about 2 ½ miles south to the east-west running ENSTAR natural gas pipeline. The underground pipeline is beneath a cleared, 30-foot-wide corridor that will also serve as a fire break, preventing the fire from spreading further south toward the Sterling Highway. Officials from ENSTAR agree with the strategy to manage the fire by burning from the pipeline easement as long as the above-ground pipeline valves are cleared of brush and tall grass for a 100-foot radius. In addition to clearing around the valves, firefighters are starting to lay water hose line along the fire breaks on the west and south. 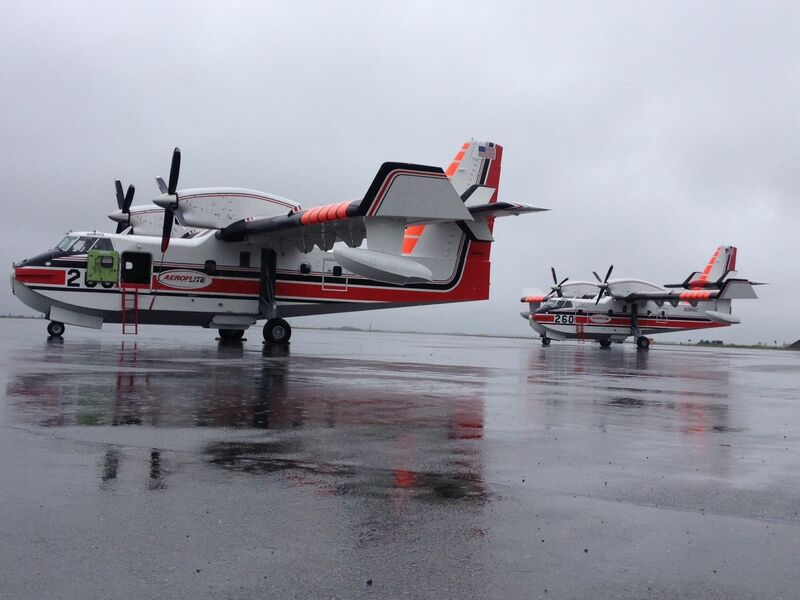 The northern and eastern perimeters of the fire are in monitor and patrol status. They are primarily monitored by air. A temporary flight restriction (TFR) has been put in place over the fire and pilots should check with the Federal Aviation Administration before flying in the area. More information on the TFR is available at http://tfr.faa.gov/tfr2/list.html.